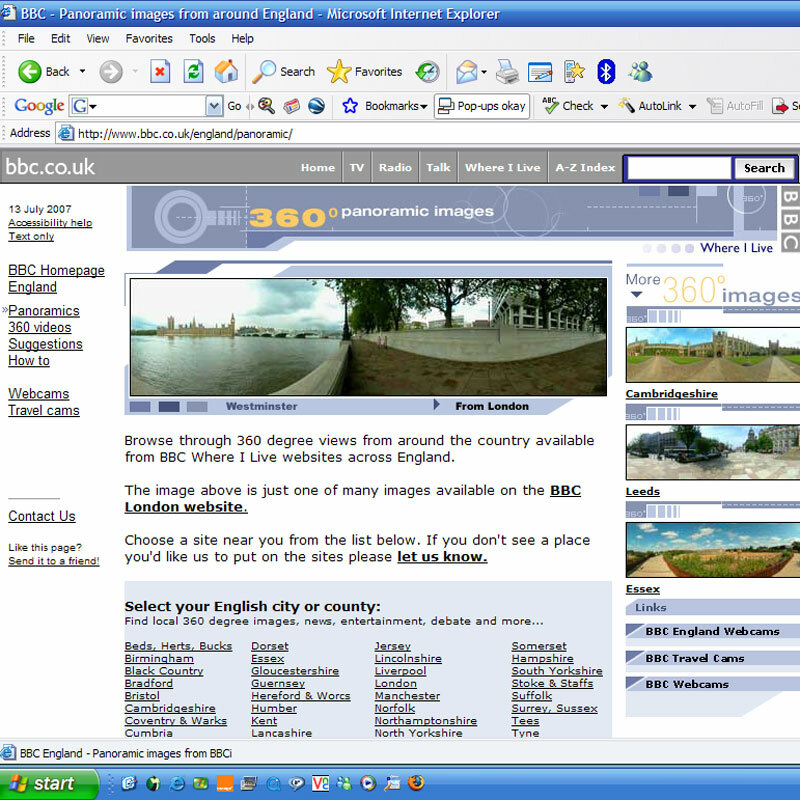 I pioneered the use of this technology on the local bbc sites. Our various systems have been used by teams around the country to provide interactive photographic views of their local areas. I am currently experimenting with new lenses and stiching software to produce high quality images which can go full screen. Using a video camera with a 360 degree lens i have experimented with this unique interactive technology where viewers can steer streamed video to look through 360 degrees. This system has been used on a London tour bus, on Ellen MacArtthur's boat and was bolted on the top of a car for a virtual lap of Silverstone. By combining 360 degree imaging with webcasting technology i have successfully webcast 360 degree video from the bristol and Northamptonshire balloon fiestas. The bandwidth required for this technology limits the applications but as this improves there will be more scope for experimentation.